Lobbydog was chatting to a Labour MP who wondered why the Tories hadn't properly capitalised on the expenses affair yet. 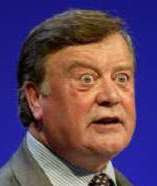 He said if he was Cameron he'd pledge to totally wash away the current expenses system - and then go much further. He'd pledge to reduce the number of MPs in Parliament, by 100 say, in his first term. He'd do it on a platform saying MPs are a huge burden on the tax-payer and that there are an unnecessary, excessive amount of them. It would mean the remaining MPs taking on extra constituents, but would also give Cameron the chance to redraw constituency boundaries across the entire UK. It's believed that many of the boundaries today favour Labour, but under such a plan Cameron could change that and keep the Tories in power for the next ten years. The fact that it would look as though Cameron was acting on expenses while Brown ummed and erred would make him look good. And if Brown was spurred into action by the plan it would enforce the perception that the Tories are one step ahead of Labour. A bit pie in the sky, but intriguing none the less. 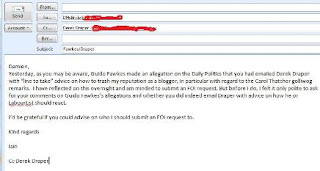 Dale is trying to use FOI to eek out e-mails that prove allegations made on the Daily Politics show yesterday. Guido accused Damian McBride, the PM's former special advisor, of telling Derek Draper to trash Dale's reputation. As I write this I feel like a gossiping old woman in a laundrette. Anyway Draper denied it. As a result Dale sent this to Draper and McBride today. As someone who uses FOI a lot I can say with certainty that if the emails Dale wants do exist FOI won't be the way to get hold of them. This is a job for an inside man. 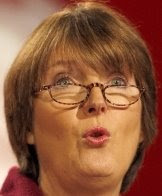 Harriet Harman seems to feel a little left out of all the leadership speculation going on about Labour. To make up for it she directly accused Ken Clarke of plotting against David Cameron yesterday in the Commons. Speaking to Alan Duncan she said: "He mentioned a number of cabinet ministers. "But I think the manoeuvring on which he ought to be focusing is the manoeuvring of the shadow shadow chancellor against the leader of the opposition. "I think that it is a case of hush puppies on the leader of the opposition's lawn." Even if Clarke is an operator, it was fairly blatant sh*t-stirring. Made for an interesting watch though. 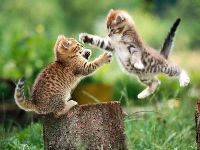 Harman and Duncan’s little clashes are turning out to be quite good game. 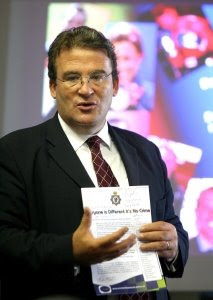 Chris Knight, the professor who suggested there'd be bankers hanging from lampposts, has been suspended from his job. The University of East London academic has been threatening a backlash against 'the establishment' during the G20 next week. Knight told the Mail: 'We intend to be peaceful but if they press their nuclear button, I'll press mine. It's called "mutually assured destruction". For years the likes of Knight have been waiting for the moment when they could stick two fingers up at people who said the far left was obsolete. They'll have their moment in the sun, but the G20 demos will be an anti climax. It's dirty work but someone's got to do it. I couldn't leave today without acknowledging the Tony McNulty thing. The Employment Minister is going to get investigated by the standards watchdog after paying sixty grand towards the cost of his mum and dad's house. Here's the killer - McNulty insists he hasn't broken any rules. I don't hold out hope for the investigation amounting to much, considering he hasn't broken rules. We can only hope that public pressure for change grows and they bend to it. Some kids from Nottingham High School won a national economics competition for coming up with a UK financial plan - which said a fiscal stimulus was the wrong thing to do. They've been working on their bid for months apparently, which means they came to the realisation before our PM did. Ironically enough Nottingham High is the same schools that Ken Clarke went to, not to mention would-be chancellor Ed Balls. Read about it over Richard B's. I was disappointed with the battle of the blogs. Draper came across unbearably smug and Guido lacked focus. The whole thing descended into a bickering match which was unbecoming - they should have kept it an on-line battle perhaps. Without a doubt the highlight was Andrew Neil telling Draper that it wasn’t a party political broadcast and that he should be quiet. The build up to the big-fight continues with Guido putting this video out. He says the Beeb wouldn't let him show it on the Daily Politics today as it was off topic. He can still bring the issue up, it's live TV after all - so what can they do to stop him? Is "Bank Bosses Are Criminals" the start of civil-unrest? While bank-bosses were hiding beneath their bed covers this morning Lobbydog was trying to remember something someone said last year. 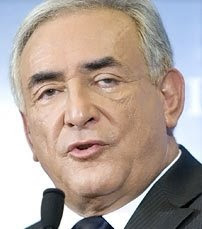 The someone was the IMF's managing director, Dominique Strauss-Kahn. 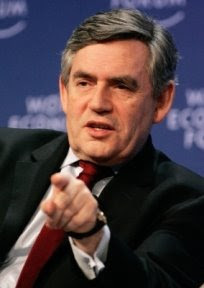 The something was him saying western nations would face civil unrest as the economic crisis deepened. It would be interesting to know if the Government had foreseen the emergence of something like "Bank Bosses Are Criminals". I want to know what more ministers think might happen - what have they planned for? 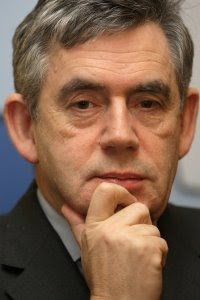 There's an uneasy feeling that the walls of 10 Downing Street are closing in - Brown is simply running out of options. Even if the Treasury and the Bank of England would let him launch a second fiscal stimulus I don't think it would play well with voters. It's not just that people are staring into a black hole of debt, it's that they feel Brown is spending to save his political skin. Meanwhile they’ve yet to really feel benefit from the last stimulus. If the voters don't like the idea of a fiscal stimulus Brown would think twice about it anyway. But without that what has he got? The private sector? 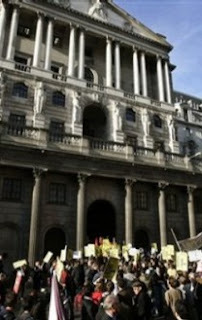 Not after the financial firms shunned an auction of Government gilts yesterday. The international community? We'll find out after the G20 next week. ...is apparently the name of the group that attacked Fred the Shred's house last night. I knew people were peeved, but the organised feel to the whole thing has taken me a bit by surprise. "We are angry that rich people, like him, are paying themselves a huge amount of money, and living in luxury, while ordinary people are made unemployed, destitute and homeless. "This is a crime. Bank bosses should be jailed. So who is next? My money is on Andy Hornby - when I saw him in the select committee he looked like he'd have a mental breakdown if you said "boo" to him. Spot the moments when his advisor behind the camera made signs at him telling him to smile. 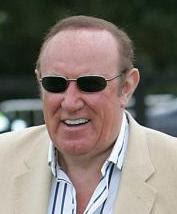 The big fight will take place at noon tomorrow on the The Daily Politics with Andrew Neil looking on. I'm hoping there is going to be some proper slagging off - no one really wants to see a nice clean fight. If Guido is as sharp in the flesh as he is on-line then there should be fireworks. Draper has been soaking up the publicity Guido has inadvertently given him until now, so it's time to make him work for it. Guido should undoubtedly bring up the Berkeley thing, I would if I was him. When most parents ask their kids at the end of the day how school was they are met with a curt, disappointing “ok”. But it must have been the excruciating total opposite for Mr and Mrs Brown. Perhaps they even avoided asking little Gordon how he was for fear of being met with a string of meaningless platitudes about education. Unfortunately, like his puppy fat, his lack of oratory was not shed in puberty. And so last week on the Marr show we came full circle when a child asked the PM what his favourite food was – I’ve read this so many times and I still can’t help chuckling. So what’s your favourite food Gordon? “Traditional things, like steak and all that. I love spaghetti bolognese, and carbonara and all these things. I like Chinese food, I like Indian food. Astonishingly even his 14-year-old inquisitor couldn’t take it anymore and interrupted him, demanding an answer about what his single best food was. You could see the PM starting to get shaky under such intense interrogation. You can watch part, though unfortunately not all, of the clip below. Hat tip to fellow regional blogger Matt Chorley for bringing this to my attention. Was Alan Johnson having a dig at Lord Myners earlier? He was being questioned about whether the Chief Exec of Stafford Hospital would be given a "golden pay-off". 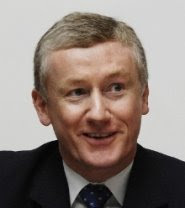 The hospital was recently found to have "appalling" standards by the Healthcare Commission, after which the Chief Exec Martin Yeates was suspended on full pay. Johnson said: "We do not want to see – on these benches and on the benches opposite – any reward for failure creeping into the health service which has been so apparent in other sections of the economy." Meeoow. It'll be an interesting debriefing after a good day for the DoH team in the Commons. 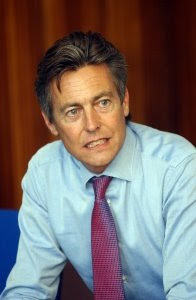 Ben Bradshaw seemed to get a little confused earlier on in Health questions. He started a speech saying the Government didn't "agree with the Conservatives" that recession was good for people's health - I must've missed that particular Tory proposal. But he then went on to say: "We know from experience both in this country and abroad, with issues like mental health, more men go to see their GPs if they're unemployed. "There can be an advantage in that because men are notoriously reluctant to seek health care and health advice." Probably the thinnest silver lining ever for our two million unemployed. UPDATE 5.42pm: Eric Pickles just put this out - "This is breathtaking stupidity from Ben Bradshaw and shows just how out of touch Labour are with reality. "Such insensitive comments sum up this Government’s approach to tackling the recession. "Ben Bradshaw needs to apologise immediately for his crass remarks." 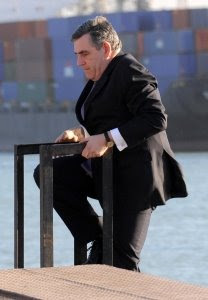 The latest politician to ‘fess up’ that there is diddly squat left in the public purse is Police Minister Vernon Coaker. That’s a blow for forces who reckon they’re not getting enough cash under the current Home Office funding formula. At the moment officials work out how much cash each force needs to bring it ‘up to standard’ – but they then impose either a ‘floor’ or a ‘ceiling’ on how much funding can fall or rise within a given year. The idea is that no force’s funding falls too quickly, avoiding instability, but the off-shoot is that no force’s funding rises too quickly either. For those that have a historic shortage of cash it means it can take years to catch up with others. Such forces, like Derbyshire for example, have been pushing for top-up cash to their settlement. But even after the current funding system expires in 2011 things are not looking bright. “The funding figures are set for 2010 and 2011 and past that it’s difficult to see what’s going to happen,” Coaker said. “But what everybody is saying is that you are not going to get to a situation where there are huge amounts of public money available. Did we hear that? It will be about getting the most out of what’s already been spent. Where does that leave new proposals – on things like inheritance tax for example? The PM's spokesman was quick to side-step the mine that is Tony McNulty's expense claim at a briefing just now. 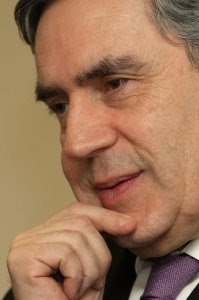 He said the PM had confidence in McNulty's ability as a minister. But he added that expenses were not an issue that relates to Tony McNulty's Government roles. They were a matter for Parliament, he said, and needed to be dealt with by the House. When pressed on whether he had "an opinion" the same response came. I didn't expect anything less, but it's enough to make your blood boil. Clarke has given David Cameron a reminder of the danger of having him on the front bench. In the Notts MP’s mind his comments about inheritance tax wouldn’t have been too different from previous ones he made about having to be careful about public spending. But branding the policy idea as merely an “aspiration” was pretty ill considered, particularly taking into account the impact it had last year. Watch the vid here. It’s clear from the speed of the shadow business secretary’s second statement – an attempt to undo damage – that the Tory leadership were hacked off. Mandy will have a little snigger, but Cameron will have known this sort of thing would happen if he brought Clarke back and will have been steeled for it. However, there’ll be a niggling voice in his ear this morning saying “I told you so”. McNulty is the latest MP to have shamefully “done nothing wrong” in the expenses saga. The rules he hasn’t broken let him claim an allowance to pay the mortgage on a house where his parents live. The Employment Minister, a sometime reader of this blog, has said he won’t return the estimated £60,000 he has received already – but has confirmed he’s stopped claiming on it. Fairly brave of Greg Hands to come out and criticise this considering Caroline Spelman’s situation – no party has the moral high ground on this one. You have to hope these stories will add to an overpowering crescendo of protest – the MPs have staunchly resisted fundamental change, but it can’t go on.